Linen laminates were among the most popular in the 1950s — I will even surmise the most popular choice for kitchen and bathroom countertops. 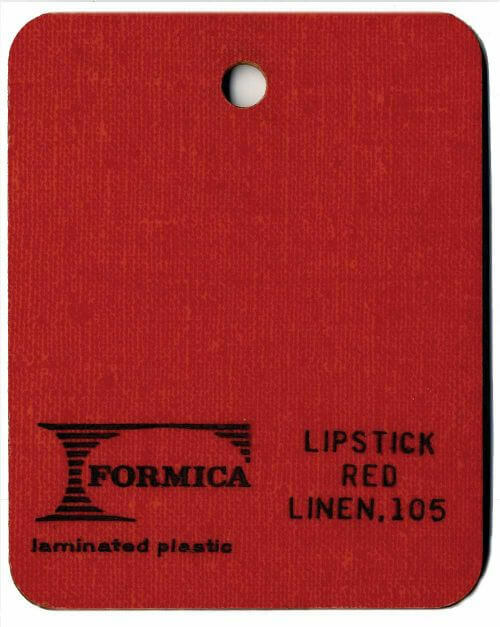 Continuing to fill out our historical archive, I organized my collection of vintage laminate sample ships… pulled out the document linens… and scanned. Today — close ups of 12 colorways of linen laminate — eight from Formica, four from Textolite. Above: Formica Green Linen — which I am betting was the most popular color. 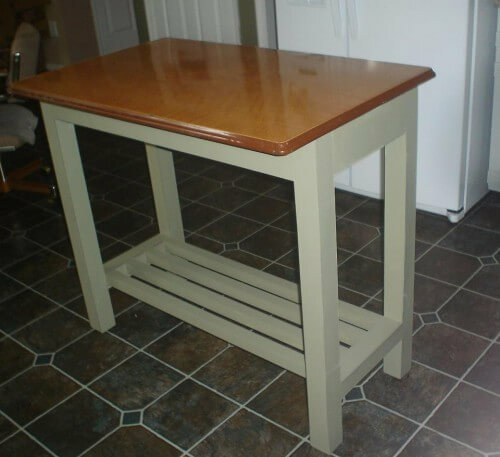 This green is perfect for a midcentury kitchen with wood kitchen cabinets. Sigh. 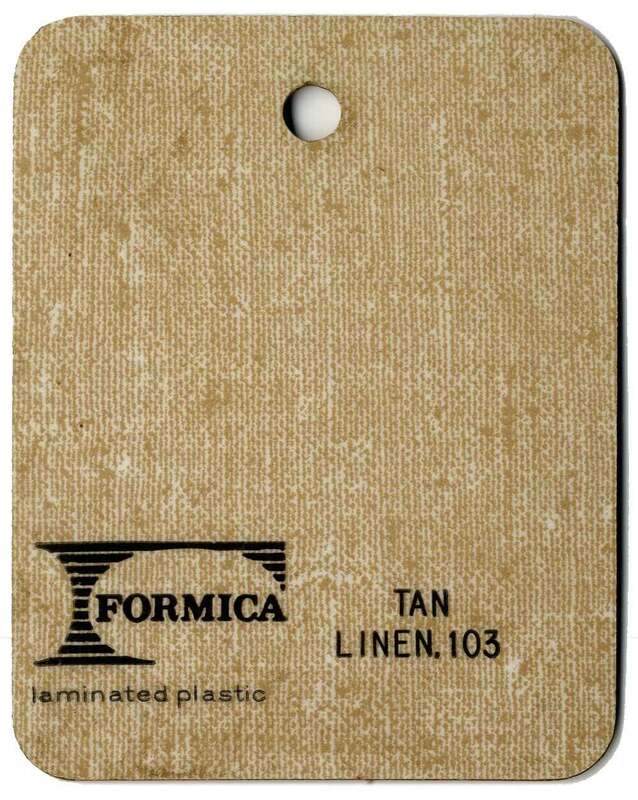 Above: Formic Tan Linen laminate. 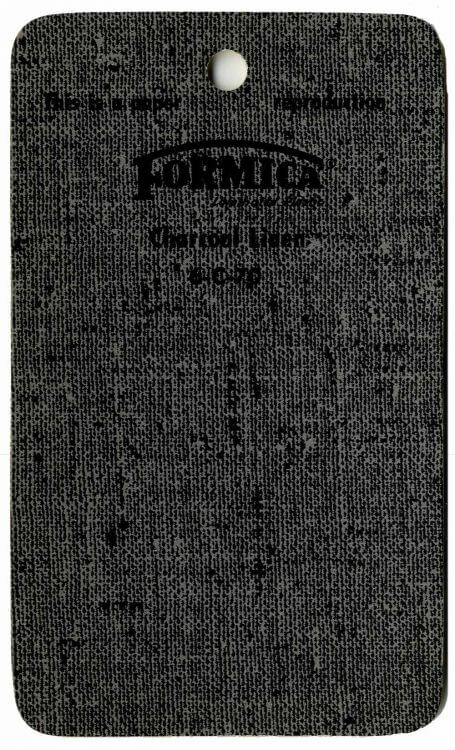 Note the weave of the Formica. It is not too sharp / edgy. My “problem” with the linen laminates on the market today is that they are too pokey-looking — sharp-edged industrial rather than soft-edged domestic. 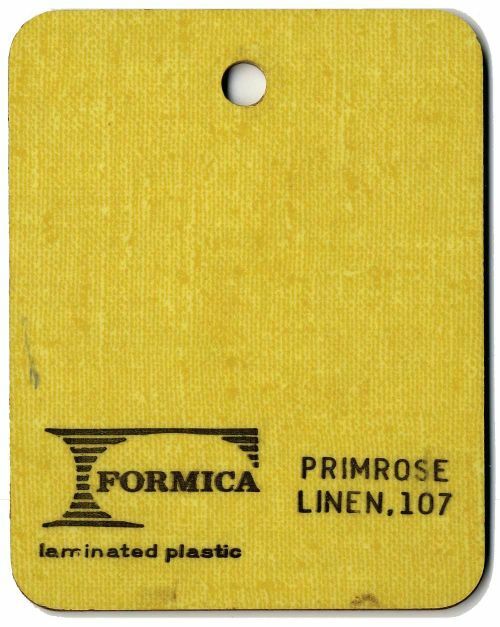 Above: Formica Primrose Linen laminate. 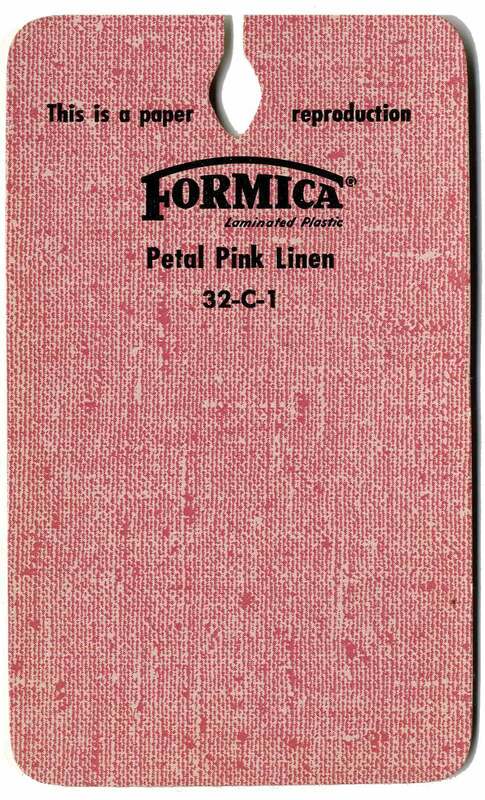 In her thesis — the best most comprehensive history of Formica and its patterns that I know of — materials expert Grace Jeffers (and good friend) says that Linen was one of the first patterns that Formica introduced after World War II. It was instantly popular. 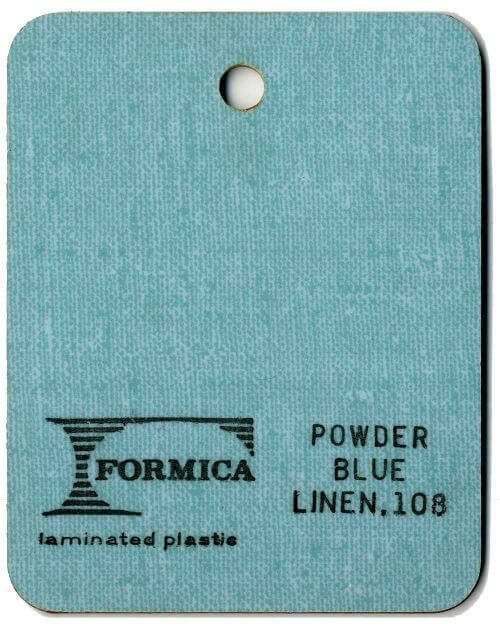 Above: Formica Powder Blue Linen laminate. Above: Formica Pink Petal Linen laminate. Above: Formica Lipstick Red Linen laminate. Above: Formica Gray Linen laminate. Above: Formica Charcoal Linen laminate. 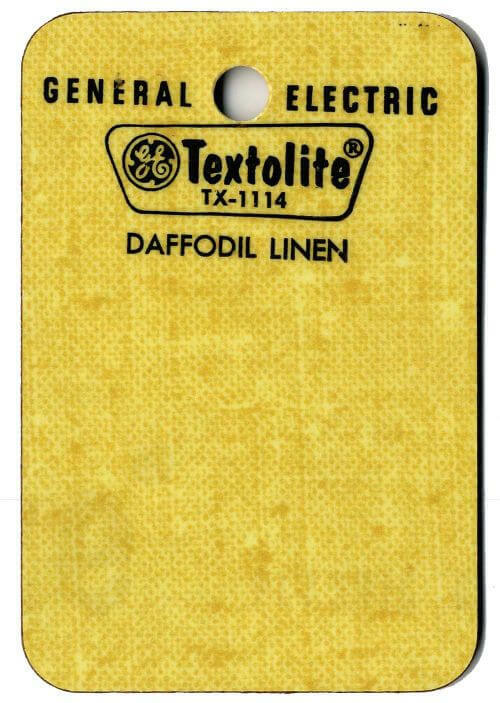 Above: Textolite Daffodil Linen Laminate. I have only four samples of Textolite linen laminates. It’s hard to tell from such small samples, but it appears the patterns are different — I’d say the Textolite linen weave is less tight… with more chunkies simulating natural irregularities you’d find in a linen thread. 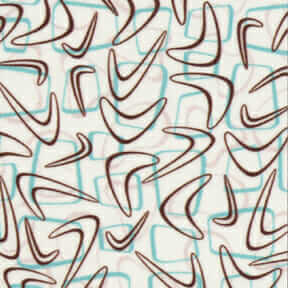 I like the Textolite pattern better than the Formica pattern but, seriously, this is splitting hairs. Or threads. 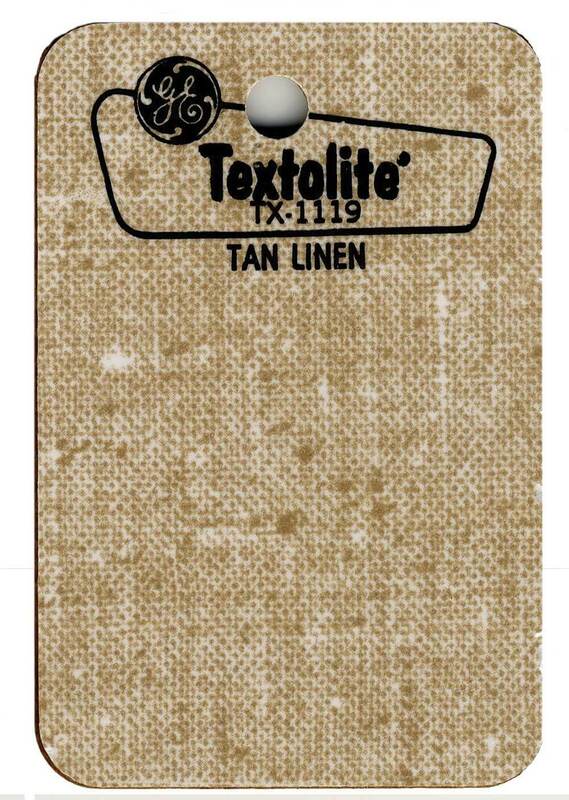 Above: Textolite Tan Linen Laminate. Above: Textolite Panama Linen Laminate. 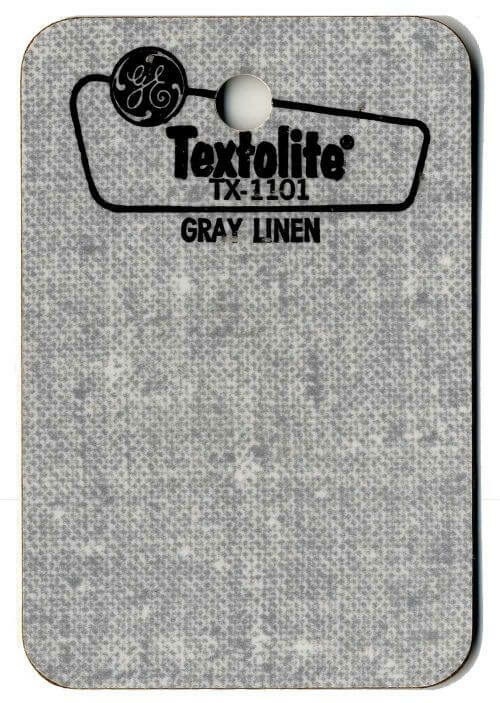 Above: Textolite Gray Linen laminate. I don’t think any of them are as perfect as the vintage (paleeze, why the need to reinvent, when the original is perfect?? )… but we have written about at least six companies offering modern day spins on linen laminates — available today. IMPORTANT TIP: Scroll this “tagged” list to see all the separate stories — they are not agglomerated, they were written one-by-one over time as various companies rolled out their designs. 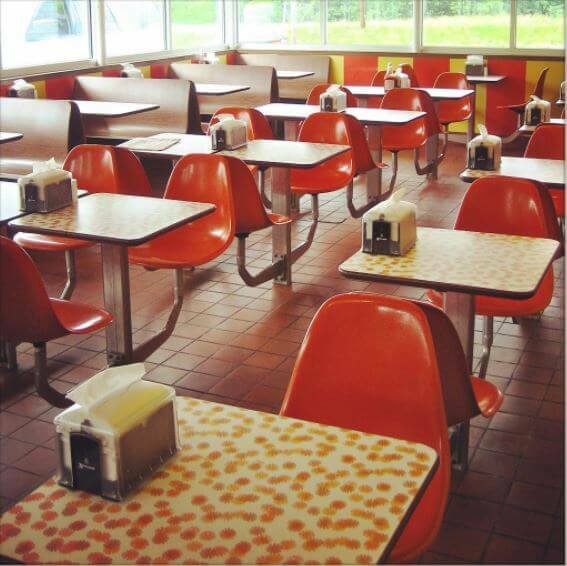 Original 1970s Wilsonart’s Daisy laminate tabletops at Speck’s in Collegeville, Pa. 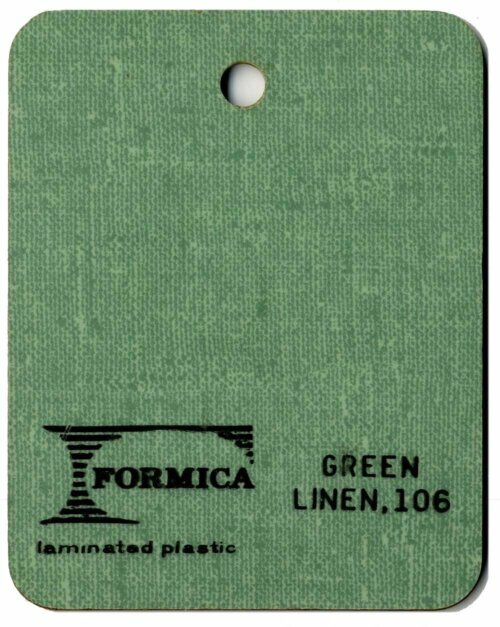 I have about 5 1/2 pieces of that 50’s green linen formica (color # 106) about 22 inches deep x 5 feet long. 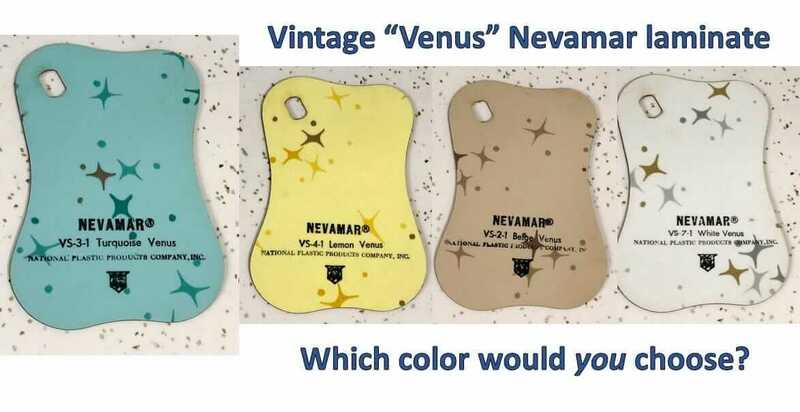 They were something my dad salvaged in the 70’s and they were literally peeled off of countertops. I’d like to use them on my kitchen countertop renovation but at 22 inches deep they’re not deep enough, so I’d be forced to piece a few of them together to cover the countertops. Must be nice to be Prada! Check out their Bar Luce in Milan, there’s Formica Green Linen all over the place…how did they get that? Designed by Wes Anderson — wow! IDK where they would get it. Custom, perhaps. 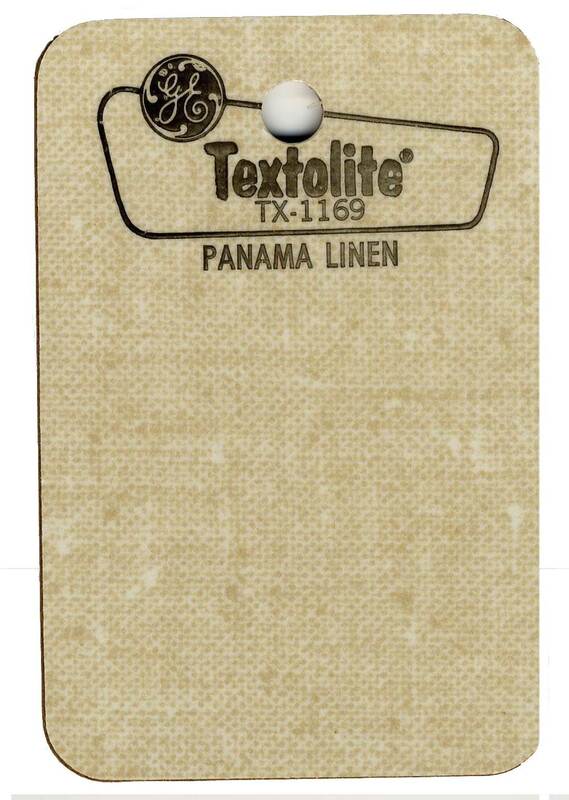 I agree that no current retro laminates hold a candle to these babies. Time for Formica to re-produce them for the masses!